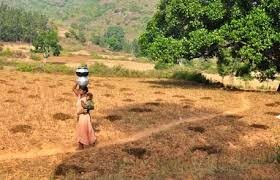 After its decision to water down the Right to Fair Compensation and Transparency in Land Acquisition, Rehabilitation and Resettlement Act, passed in Parliament last year, the Government of India is said to be considering removal of the “consent” clause from the forest rights Act, 2006 as well. Popularly known as land acquisition Act 2013, which replaced more than a century old law wgucg allowed forcible land acquisition, two of its main provisions which the Centre seeks to remove from 2013 Act are social impact assessment and consent from 70 to 80 per cent of those sought to be displaced by a project. Significantly, sources suggest, even before the BJP government came to power, the UPA had moved for complete removal of the consent clause from the forest rights Act, as the ministry of tribal affairs was considering clearances to projects without tribal consent as “illegal”. “In fact, the Prime Minister’s Office under Manmohan Singh had sought "legal opinion" in the matter of removing the consent clause”, the sources point out. It is expected that the Centre's new move would, therefore, face little political opposition. The forest rights Act was passed by Parliament in 2006 and began being implemented in 2008, and one of its main focuses was to make the foresters prime owners of the forest area where they live. All those forest dwellers cultivated forest land before December 13, 2005 were to be made the rightful owners of the land and given land title. Thousands of applications by tribals all over India are currently pending before authorities demanding that their land should be "cleared". Even gram sabha consent for giving a nod was enough to hand over land. According to sources, the first meeting on the issue of taking away the consent clause from the forest rights Act has already taken place, with officials suggesting that several ministries find it “extremely difficult” to implement major expansion projects in the tribal areas because of the “hindrance” stipulated in the forest rights Act. A major option being discussed is to replace “gram sabha consent” with “environmental public hearing” for an industrial project, which is nothing more than a consultative process, usually chaired by the district collector. Meanwhile, the sources point out, the law ministry is being consulted in the matter. Officials concerned particularly want to know legal provisions which would require to be changed, as in their view large number of mining projects is on stake because of the tribal rights Act. “The law ministry's favourable advice would be used to contradict the legal view of the tribal affairs ministry”, the sources pointed out. The matter also “requires attention” as the Supreme Court in the Vedanta mining case approved of tribal village councils' consent.